Are you looking to get fit, reduce stress & find better life balance through the physical and emotional benefits of yoga. In 2006, we opened our studio as Wollongong’s first dedicated yoga space. We combine our 13+ years as studio owners, with our clinical experience in Exercise Physiology to share a flowing style of yoga, meditation, strength and conditioning + mindfulness techniques to help you lead a happier, healthier, more balanced life. Getting started is easy. Our intro offers are incredible value and designed to help you jump in the deep end to our mixed level classes where you can work at your own level (regular and prenatal). 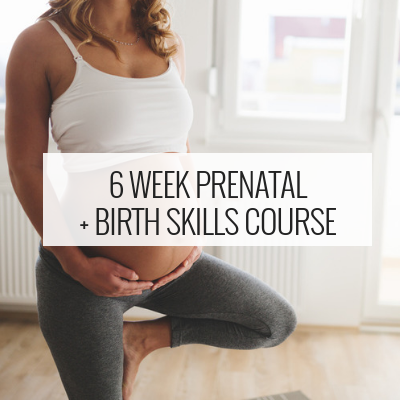 Our 6 week courses (beginners and prenatal) are designed to introduce basics, and guide you step by step and break down key alignment, breathing + yoga concepts. Private lessons are ideal for those with injuries or anxiety about joining a group class. This way you get a highly personalised approach just for you. If you want to jump into our all-levels classes - this is incredible value and gives you 30 days to try our classes out. If you’re at the beginner end of the spectrum - try our yin classes for relaxation. Vinyasa classes are more dynamic with options given for fit beginners through to regulars. Please note our strict 2 hour cancellation policy. Join now & start today. Discover why women all over the Illawarra LOVE our prenatal Yoga classes. Yoga is the perfect pregnancy fitness & birth preparation companion to help you stay fit, strong, ease aches & pains, sleep better + prepare for birth in a fun and relaxed setting. Classes run Tuesdays 4.30pm and Saturdays 9.30am. Join anytime. Classes marked green are more gentle and best for beginners. If you’ve never done yoga - we recommend booking a beginners course. Arrive 15min early for your first class. Mats provided.